Marlon Connor has been working as a sports instructor for the ACLO for years. Since the opening of the station ACLO, he moved his physiotherapy practice to this location. 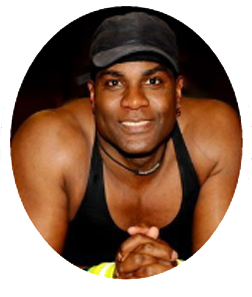 As an experienced, all-round physiotherapist, personal trainer and sports instructor Marlon is the right person for treating physical (sports related) problems and helping you to achieve your physical goals: whether that is to lose weight, build muscle or prepare for a competition or an important event. Do you have additional health insurance? In that case, physical therapy will be covered by your health insurer in almost any case. Don’t you have insurance, or are you in Holland as a Foreign Student? No problem! Please contact Marlon for more information about rates. Attractive discounts are available for both students and SPR-members. Do you have physical issues, an injury that’s hard to get rid of or would you like to know how to train certain muscle groups? Please contact Marlon for a FREE intake or a free kick start session Personal Training. He’s also happy to provide you with tips on fitness and health, and he’s always available for free online coaching. You can schedule an appointment with Marlon at the ACLO Station from Monday to Saturday, both during the day and at night. Contact Marlon via 00 31 6-18 58 24 69 or by sending an e-mail to connorsports@gmail.com. For free advice also! For more information, look here.